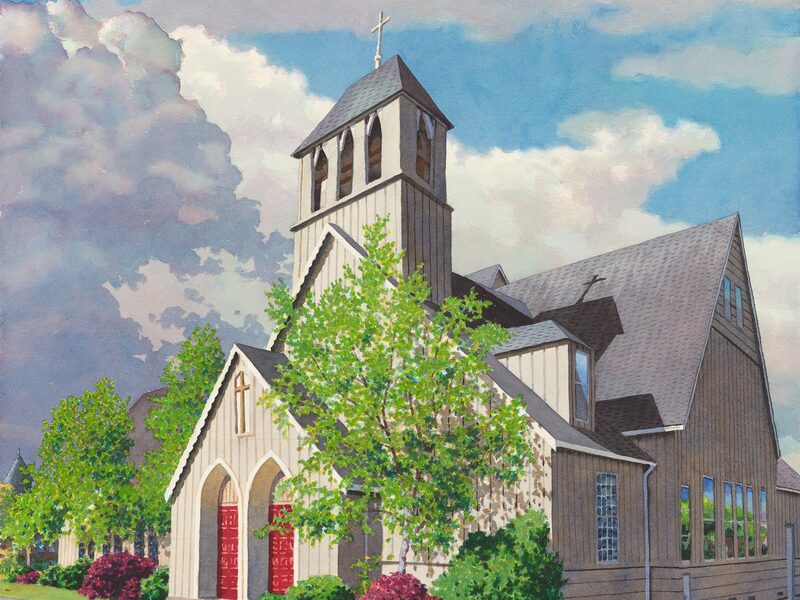 In May 2006, Saints Martha and Mary Mission became a Parochial Mission of Christ Church. The congregation meets in the historic Trinidad Presbyterian Church (401 Trinity St.) in the heart of Trinidad, across the street from Town Hall. On the second and fifth Sundays of the month, Mother Lesley McCloghrie preaches and presides. On the Sunday closest to the Feast Day of Mary, Martha and Lazarus (July 29), Fr. Daniel visits to preach and preside. *Trinidad, California is a small scenic harbor town about a half hour north of Eureka via Highway 101.